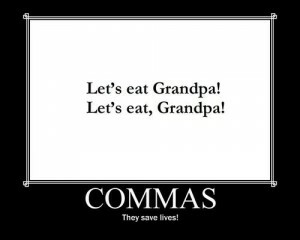 For years I've been telling students you only get one mark of punctuation at the end of a sentence. Decide if you want it to be a question mark or an exclamation mark. You don't get two. The students might, of course, use the interrobang. It's a punctuation mark invented by Martin K. Spekter in 1962. The name comes from a combination of the question mark (interrogaton point) and the exclamation mark, called a bang in printer's jargon. The American Heritage Dictionary accepts the spelling interabang as well. The OED has no entry under either spelling. It's availabble in Wingdings 2 in Word. Merriam-Webster says interrobang rhymes with oragutan, but it's a slant rhyme at best. Here's a great article about the interrobang from Shady Characters: the secret life of punctuation. Now you've got a new punctuation mark to express your sarcasm.